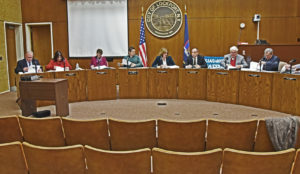 “I have a matter I wanted to bring to the council,” said Mayor Anne McCaffrey at last week’s common council work session. ‘If we have specific questions as to why we are being asked to make a change. We may to ask a department head or the fire chief or police chief and ask them to explain why they are seeking a change in job specs. If the change is being requested by the fire board or the police board we may ask to meet with that board to determine why a change is being requested.,’” said McCaffrey as she continues to read the letter. “I take exception to the statement made by one of you that alluded to the fact that politics may be affecting our ruling. Nothing could be further from the truth. And to make this statement is very misleading to the public and flat-out wrong. I would be more than happy to address the council at any time to answer your questions or explain the function of the service civil commission. 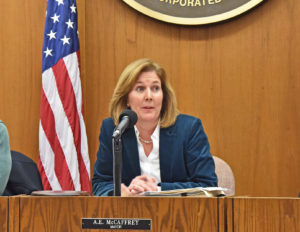 Further, lastly let me state as a commissioner I feel very fortunate to work hand in hand with Mary Pat Holtz, who we feel does an outstanding job of running the office of civil service for the city,” said McCaffrey, concluding reading the letter. “And this was signed by one of civil service commissioners,” she said. “I encourage you to take actions that are open and transparent, ethical and in line with purview of what your positions are,” said McCaffrey. Alderman Joe O’Shaughnessy raises his hand to speak. 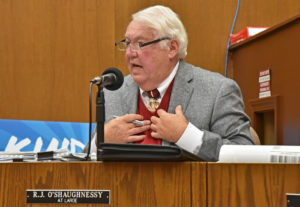 “I’m just saying what I did,” O’Shaughnessy said. 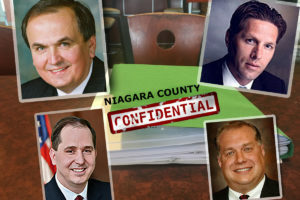 Niagara News Source reached out to Mayor McCaffrey to provide the name of the civil service commissioner involved in this dispute but has not provided any additional information at this time. “Mayor, I’d like to address this,” said Alderwoman Anita Mullane. Mullane: You questioned the legality. Council president David Wohleben: What did you say, Scott? Schrader: I said we are not utilizing everything that we can seek for reimbursement according to the law. Mullane: And I respect that. I understood your comment. Schrader: In no way is that illegal. Mullane: I understood your comment. That’s not my point. My point is as a council member the state wants us to share services. The governor said that in the state of the state address. We have been talking about this for years. This is a true way of sharing services and pursuing it. As a council member, we all have a right to question our county legislators as to whether this is a feasible possibility That is what I have done. McCaffrey: You can certainly call anyone you want. My point is you can’t negotiate on behalf of the city. McCaffrey: And the council discussed it at length during budget time and all acknowledged that it would be more costly for the city to get out of it. Mullane: That’s not true. Alderman Oates told me to pursue it this year and to look into it. So I disagree. Mullane: That’s actually less than half of her salary. It doesn’t involve insurance, retirement, pension. McCaffrey: I just encourage all council members to be open and transparent. Thank you. Mullane: I planned on it, mayor. I’m on LCTV tomorrow with Alderman O’Shaughnessy and that’s one of the things I’m going to bring up. On LCTV the following night, “Access to Government” hosted Mullane and O’Shaughnessy. 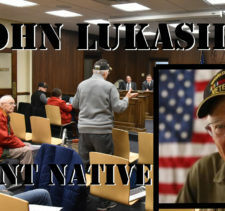 Host Tim Packman: Last night there was a spirited meeting of the council. O’Shaughnessy: To me it was little bit of a shocker. He explained the situation regarding the phone call to civil service commission member Agronin. “I had a friend coming in from Arizona who wanted to take the test,” he said. The state sets them, O’Shaughnessy reports Agronin said. “There are three commissioners. I only called one,” O’Shaughnessy said. “I got a little upset. I’m a square guy. I’m here for the people,” he said. 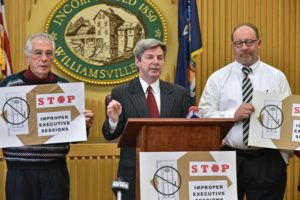 Mullane reiterated that the City of Lockport and Niagara Falls do not participate in the county’s civil service commission. Mullane: I have nothing against civil service personnel people. If I’m a taxpayer and ask can we save some money and possibly look into this. I have that right. What’s illegal about that? I’m not quite sure. “The mayor removed Mark Devine and I from the personnel committee at the beginning of the year,” Mullane said. Mullane said the reason the meetings were changed was because civil service director Holtz would be staying late. “For $66,000, I would hope it would be OK to ask an employee to stay a few minutes,” Mullane said. Mullane said if a matter involved a family member, she would recuse herself. “I’ve always said please ask me to leave if it involved a family member. I would be happy to get up and leave it that’s the topic. I didn’t always know what the topic was going to be. The mayor apparently mentioned I sat through a conversation regarding my family member and she didn’t feel that I should comment. I disagree. That department, I am legally allowed to comment on how that department is running. And my sister is not the department head. And that’s part of my job to do the best job possible. During the program, Mullane also touted Batavia’s budget. “300 pages for their budget,” she said, comparing it to Lockport’s budget at about 30 pages. She also brought up changing the mayoral term from four years to two. A change to four-year-terms was made about 10 years ago, she said. Mullane also made a final comment about more access to government in Lockport. Desperation is not attractive, Anne. 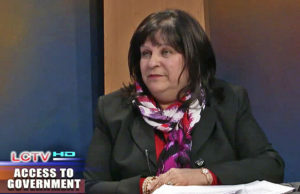 You’re not the Queen of Lockport, you’re an elected official who is most likely serving her one and only term as mayor. 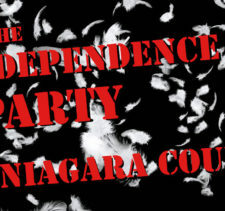 Lockport can’t afford another 4 year destructive, self interest laden McCaffrey term. The city council members work for us, not for you. That’s something you obviously need to understand more clearly. I applaud the efforts of council members who do their jobs, especially those who do them well. They should be thanked, not taken to task. Shame on you, Madam Mayor. Apologies from you are in order.